Vittorio Greco, the youtuber, presents this useful sketchup tutorial to teach you how to create custom buildings in sketchup and export them in X-Plane 10 without any difficulty. X-Plane 10 is the most powerful aviation software having good flight simulation feature. X-Plane contains the most realistic flight model. X-Plane 10 offers the complete 3-D scenery. Alex Schreyer, the senior lecturer at the at the University of Massachusetts, develops SketchUp to Sketchfab.com Uploader. This sketchup extension supports SketchUp 8, SketchUp 2013, SketchUp 2014, SketchUp 2015, SketchUp 2016 as well as Mac OS X, Windows. This plugin will streamline the process for distributing interactive 3D content from sketchup to sketchfab. Sketchfab belongs to a simplified website where one can upload 3d models and demonstrate them through WebGL. As the primary upload file format is COLLADA, so it becomes easier for SketchUp users to upload their work there (the DAE and KMZ export format is indigenously supported in both the free and Pro version of SketchUp). Once the plugin is set up, there will be a menu item “Upload to Sketchfab” to the File menu in SketchUp. The sketchup users have to register on the sketchfab website prior to upload their models. After that they will be provided with a “secret API key” that connects their uploaded models to their account. The API key will be available on the personal dashboard of the users once the registration will be completed. After uploading any model, one can edit parameters and materials, capture a thumbnail or fine-tune the default view on the Sketchfab website. Go to File > Upload to Sketchfab to transfer your model to the cloud. Ensure you have obtained your API token from the Sketchfab website. This sketchup extension is also available on GitHub. ISDM is offering offering an exclusive sketchup course for advanced sketchup users to explore and communicate design ideas to the clients and community. This exclusive sketchup vray tutorial is presented by youtuber Maquete Eletronica. One will be familiar with step-by-step tutorial guide to set up V-ray 2.0 within sketchup 2016. V-Ray 2.0 for SketchUp is upgraded and completely supports SketchUp 2016. Lots of enhancements are included which range from superior animation and batch rendering as well as support for Skatter and ArchVision RPCs. 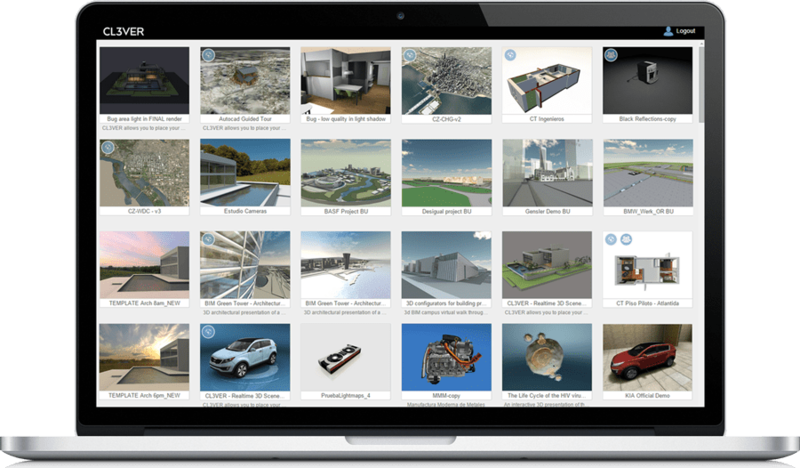 All the V-ray 2.0 for sketchup users can download it at free of cost. The existing users of V-ray 2.0 can upgrade to v-ray 3.0 if purchase is made after 1st November. This free update contains a single workstation license & one render node. AKITENKOSHI is the creator of Sketchup Exporter to WebGL, a useful script for skethup that is developed on SU2WEBGL. Watch the following sketchup video to get a demonstration of the script. As per suggestion of John Bacus, Product Management Director, SketchUp at Trimble Navigation, the most ideal process to obtain a WebGL rendered JSON stream from SketchUp is to upload any model to 3D Warehouse– that will perfectly render this type of stream automatically cost-efficiently. Once the model is prepared, it can be embeded in any web page through an uncomplicated code snippet. Palo Alto 13 January 2016 – CL3VER announces that the 3.3 platform release is now available for all users. 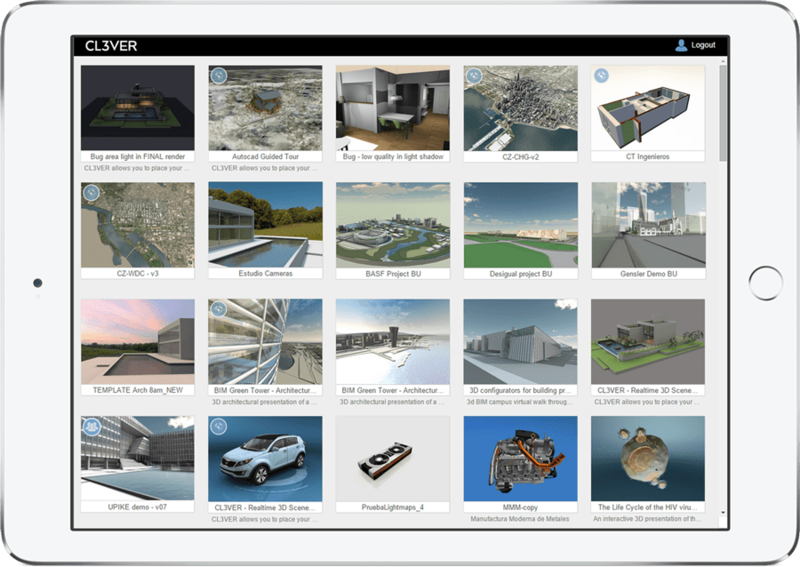 Major updates included in this release include significant quality enhancements when viewing CL3VER projects on mobile devices. In addition CL3VER 3.3 also provides the ability to play CL3VER presentations without the need for an internet connection. This improves the portability of interactive 3D presentations on any device. New CL3VER App for PC, Mac and iOS…and Free! Architectural and Engineering projects are often presented in situations where there is little or no internet connectivity, like meeting rooms, at events or on construction sites. To solve this problem CL3VER 3.3 comes with a brand new “CL3VER App” for Windows, OS X and iOS. The App allows a user to store presentations on any device which then allows them to be viewed without the need of a internet connection. The App is free and shares the same user interface across PC, Mac and iOS providing users with a seamless experience . Downloading presentations is easy, once the App is installed on a device a CL3VER user is able to access all the projects they have created via their login. By simply clicking on a project the download starts and the presentation is stored on the device so it can then be opened anytime and anywhere without Internet connection. The CL3VER viewer has been optimized to work natively via mobile on any browser on iOS devices with retina display (iPad Air or superior) or Android devices using a Mobile browser that supports WebGL. This means that CL3VER users can provide spectacular 3D presentations on both Web and Mobile maintaining the same visual standards directly from the browsers. The youtuber, Jarek Ostaszewski, offers a detailed sketchup tutorial useful for woodworking professionals. This sketchup tutorial will teach you how to generate the model of a Oak Table suitable in your drawing room with sketchup pro. Your component is further usable. When you edit your component, the component instance or the definition is also edited. It is possible to connect your component to a particular plane (by setting its gluing plane) or cut a hole in a face (by setting its cutting plane). Metadata like IFC classification types can be linked with the component. Classifying Objects offers the main classification systems and these can be applied to SketchUp components. Tip: Prior to produce your component, ensure it’s coordinated with the drawing axes and attached to other geometry with process undertaken to utilize the component. This trick is useful when the component contains a gluing plane or a cutting plane. 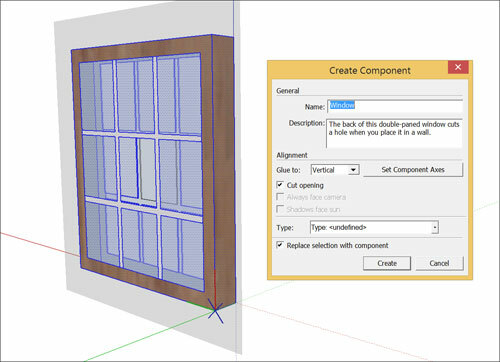 While generating a component, it can be formed right in your model or in a individual SketchUp file. Here, just go through the Make Component dialog box. The following figure demonstrates the dialog box for your existing operating system. Opt for the geometry to be added in your component. In order to have some tricks, go through Selecting geometry. Select Edit > Make Component out of the menu bar, or cntrl-click the selection and select Make Component. The Create Component dialog box will be visible. In the Name box, assign a useful & specific name for your component so that the component can be easily detected in the Outliner with your other geometry. To get some useful tips on naming groups or components, go through Working with Hierarchies in the Outliner. In the Description box, include a short description of your component. (Optional) To arrange a gluing plane, pick one of the following options from the Glue To drop-down list: Any, Horizontal, Vertical, Sloped. 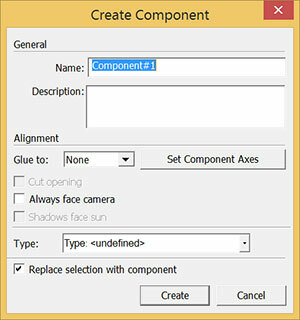 While choosing a gluing plane, the Cut Opening checkbox is turned on, whereas the Always Face Camera and Shadows Face Sun options are deactivated. If you arrange a gluing plane, choose Step 6. If you are reluctant to arrange a gluing plane or a cutting plane, skip to Step 7. (Optional) To allow your component to cut an opening in a face, choose the Cut Opening checkbox. Skip to Step 9. (Optional) Turn on Shadows Face Sun checkbox to provide shadows from the component’s existing position as though the component were confronting the sun. The shadow shape remains unaltered because of the component rotates to face the camera. Tip: The Shadows Face Sun option is best suited with components that contain short bases (like trees). This option should not be applied with components that contain wide bases (like people in midstride). (Optional) Select the Set Component Axes button to switch the component’s axis origin or the cutting plane. Once you click the button, the cursor facilitates to arrange a new axis origin in the similar way you apply the Axes tool. Once a new component axis origin is arranged, the Create Component dialog box is activated again. Tip: the component’s axis origin should be modified for the following reasons:o The component’s axis origin finds out what angle of the component is loaded onto the Move tool cursor while adding a component instance in a model. o The red/green plane’s orientation also describes the cutting plane. If a vertical cutting plane is needed, like the back of a window, to cut a face, then the red/green plane should be moved to the back of the window. o While applying the Shadows Face Sun option, place the component’s axis origin at the bottom center of the component for getting superior results. (Optional) Choose an option out of the Type drop-down list while applying classification data. For getting more details, go through Classifying Objects. The Replace Selection with Component checkbox should be left with selected if it is required to convert the geometry selected in Step 1 into a component. Uncheck this box to leave the geometry unaltered but make a component definition based on it. The component definition is accessible in your In Model collection. Apply the Create button to finish your component.